The Julia’s Cabled Headband is coming along nicely. I’m heading on to the last cable pattern before completing the band and bind-off. 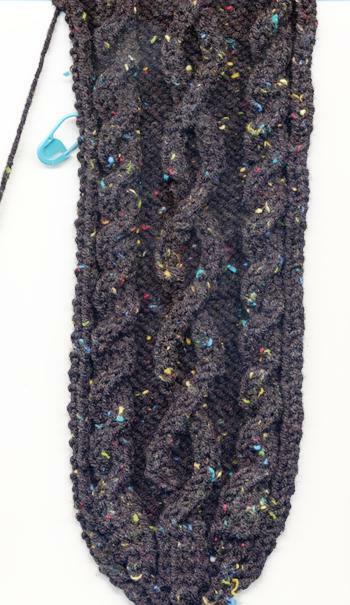 This headband is incredibly easy to make, the pattern is free and a great way to get comfortable with cable stitch, in preparation for a project like this Cabled Cardigan. Previous New Project Cast On : Julia’s Cabled Headband Next Julia’s Cabled Headband Done!